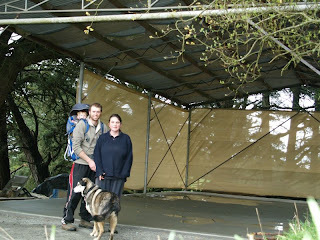 We got our hay shed concreted!!! YAY! We ended up getting a contractor to do the job, so it cost a bit of money, but realistically we would have struggled to do it on our own, with a baby and a dog to keep off the wet concrete. So we are very happy about this. The concreted shed is great, i can practice my fast sword routine!